Samuel teaches in Bentleigh studio. Woodwind Teacher (saxophone, clarinet, flute, recorder, trumpet and music theory). Samuel has an extensive experience in teaching music both in Australia and overseas. 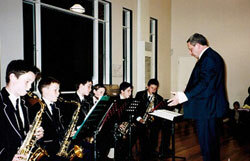 He worked at St Michael’s Grammar School in Melbourne as a Music Teacher (clarinet and saxophone) for 10 years. In addition to teaching, he was responsible for conducting the Junior School Wind Ensemble and the Senior School Wind Band, as well as several other wind groups. His credentials extend to a Bachelor’s degree in music (education, conducting, solo performance) and he is a VIT Registered teacher. Samuel has knowledge in teaching AMEB and has competency to teach VCE music. Throughout his teaching career he has directed a number of ensembles, such as concert bands, saxophone ensemble, clarinet ensemble, flute ensemble and mixed ensembles. Denis teaches in Bentleigh studio. Denis is an experienced musician and teacher. He has completed Maimononide's classical academy (Moscow), Music production and music management courses, "Kulcha Fremantle"(Fremantle, Western Australia). Having performed internationally (Germany, Japan, Norway) and nationally ("Kulcha on Swan" festival Midland, Western Australia) and having had students from different countries and backgrounds (International school 2012 - 2015) he has settled in Melbourne with focus on teaching and composing. His way of teaching combines elements of classical, jazz and modern music – he believes that being based on these three will most fully reveal the picture and sense of music for a student. His method is based on personal approach to every student – he believes that every student is unique therefore there's no general method to be applied for all students. Only with careful consideration he finds the way to teach in every case. The instruments he's teaching are guitar, saxophone, piano, clarinet, recorder and music theory/aural training. He's also specially focusing on band practising that he believes is one of the most important things in music. Group/band practisimg allows a student to progress not only in music but in social aspect. Having prepared students for ABRSM he will also prepare those who aim for AMEB exams - full support is provided. Hyun Joo teaches in Bentleigh studio. Hyun Joo has worked as a Music Teacher, Jazz Pianist and Song writer in Korea. She has lots of experience in playing at concerts and festivals. Based on that experience, she has a strong focus to make her students feel enjoyment out of music as well as improve their skills and build confidence levels. Hyun can teach Piano, Violin, Synthesizer and music theory from beginner to advanced levels and Voice, Guitar, Drum, Recorder from beginner's to intermediate level. Her focus is to teach and develop each students individual sound. Patience and encouragement is her best qualities as a teacher. Hyun has completed Encore On Keys program workshop in January 2018, organized by the creator of the program Mark Gibson and now successfully introducing this program to preschool and primary school age children at Alla’s Music. 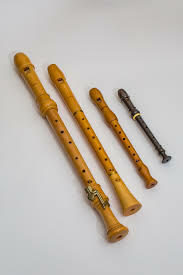 Learn to play recorder with experienced teachers. Group and individual lessons. Classes for kids and adults.